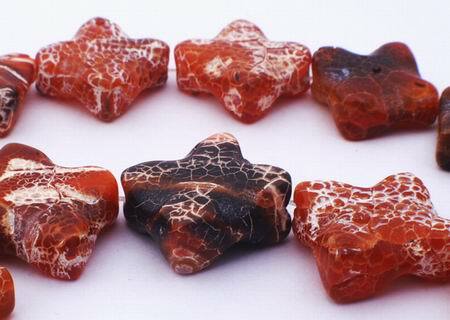 Price is per 14-inch strand of these beautiful agate beads. Each measures a 17mm x 17mm x 7mm - about 18 beads to the strand. As these are natural, all will be a slightly different pattern to picture.